Can you help police find missing woman? Police have made a fresh appeal for information that could help them find a woman who went missing four months ago. Janet McQueen (58) was last seen by her neighbour leaving her home in Langside Road, Govanhill, Glasgow, at around 9pm on Tuesday, October 18, 2016. Despite extensive enquiries by police, including widespread door to door enquiries, specialist search teams being utilised in rear courtyards around Janet’s home and within Queens Park, as well as numerous appeals, a family press conference and a stop and interview, there hasn’t been any trace of Janet since the Tuesday night. Inspector Alex Hutton, Gorbals Police Station, said: “This is a horrible time for the family; they just don’t know where Janet is or what, if anything, has happened to her. The family kept in touch with each other and for Janet to be out of contact for so long is concerning and very, very distressing for them. “Janet left her flat around 9pm on the Tuesday night and for some reason she left behind her wee dog Palsy, her phone and money - why she did that is still to be established. “We know that earlier in the day she appeared somewhat distressed whilst travelling on a bus, so much so that the driver called police and she was taken home to family, however, for whatever reason, she headed out around 9pm. “While there is nothing at this time to indicate any suspicious circumstances or that anything untoward has happened to Janet, it is very unusual for someone to just disappear without any trace. 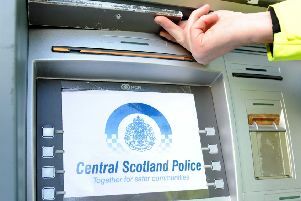 “Officers have trawled through hours and hours of CCTV looking her, and we’ve been liaising with her bank in case there has been any activity on her account but so far nothing. “She has not been seen by any of her family, friends or neighbours – all very odd and all very concerning. Janet is described as white, 5ft tall, of slim build with short black hair. She was wearing glasses, a black anorak and dark coloured trousers when she was last seen.